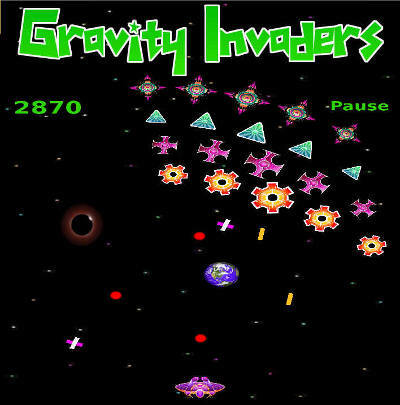 Shoot around black holes, gas giants and curious negative gravity anomalies to save the galaxy in this retro arcade shoot'em up. 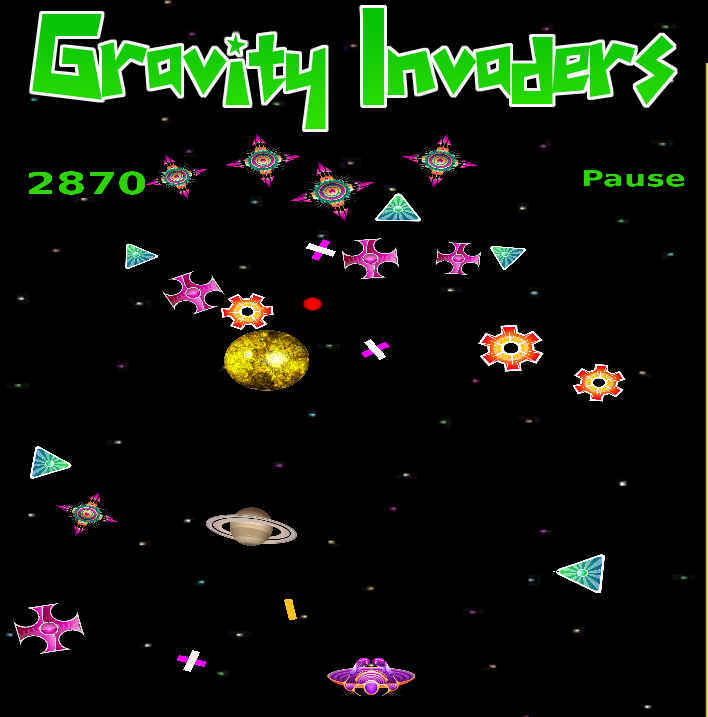 The alien ships are equipped with standard blasters and anti graviton weapons so watch out as some of their weapons are not effected by the crushingly high gravity. Hide behind moons & planets, use the sling shot effect of burning stars to loop your plasma balls into the enemy stronghold at warp speed. 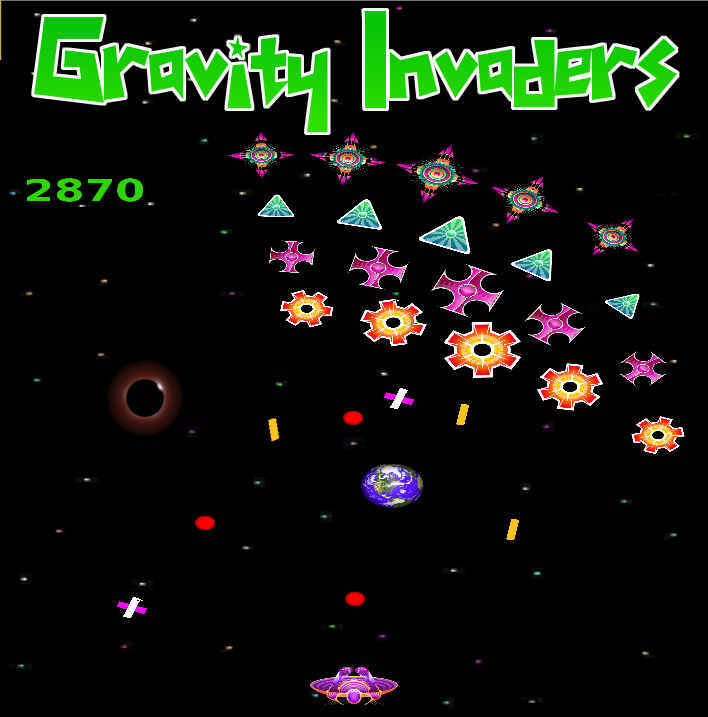 Bounce your high energy weapons fire off a planets atmosphere to catch the enemy off guard. 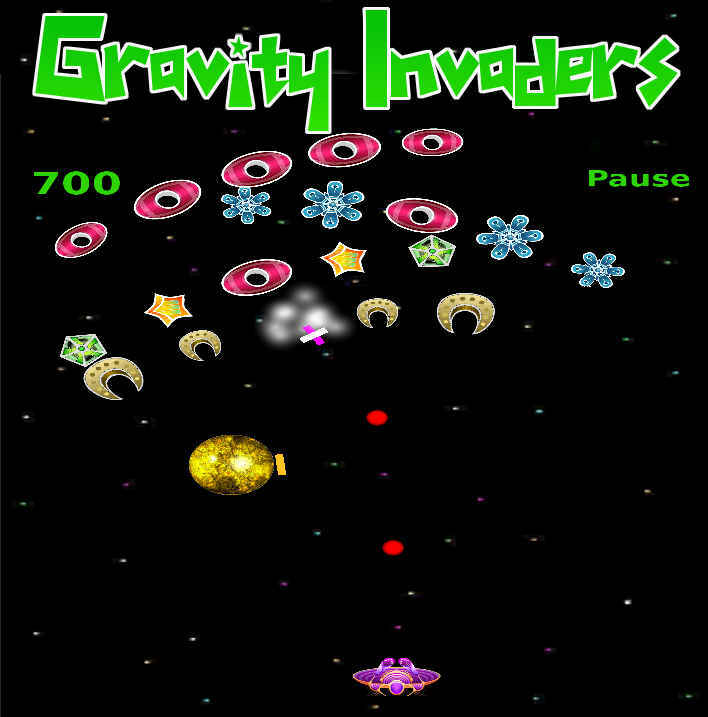 Download Gravity Invaders now, it ain't heavy and it is free.